The legislator son of Sri Lankan Prime Minister Mahinda Rajapaksa today indicated that the demand of the Tamil minority community to release all Tamil prisoners may be fulfilled soon, a move aimed at persuading the Tamil legislators to support Mr Rajapaksa. "President Sirisena and Prime Minister Rajapaksa would make a decision very soon," Namal Rajapaksa tweeted. The Liberation Tigers of Tamil Eelam or LTTE had run a military campaign for a separate Tamil homeland in the northern and eastern provinces of the island nation for nearly 30 years before its collapse in 2009 after the Sri Lankan Army killed its leader Velupillai Prabhakaran. 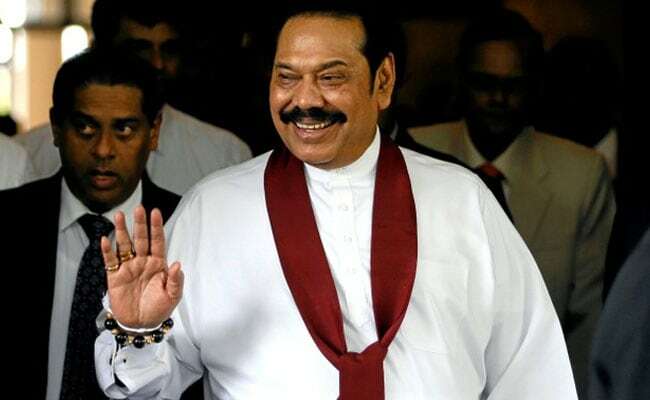 Mahinda Rajapaksa, who was the president at the time, has repeatedly said that the war was against the LTTE and not against the Tamil community. Since the war with the LTTE ended in 2009, the Sri Lankan government has denied that the imprisoned LTTE members are political prisoners. Tamils say some of the prisoners have been held over a long time under anti-terrorism law without even being formally charged. Namal's comments are aimed at persuading the legislators in the Sri Lanka's main Tamil party -- Tamil National Alliance (TNA) -- to switch their allegiance to Mr Rajapaksa in his bid to prove majority in the parliament. So far Mr Rajapaksa has 100 MPs on his side while sacked prime minister Ranil Wickremesinghe has 103 MPs in the 225-member house. Most of the 22 remaining MPs, including the TNA, are likely to oppose Mr Rajapaksa. Mr Rajapaksa's camp had already enticed a TNA legislator to join ranks by giving him a deputy ministerial position. The TNA's parliamentary strength has been reduced to 15 as a result and there was speculation that at least four more of them were willing to support Mr Rajapaksa. The TNA has said it will support a no-trust motion Mr Rajapaksa, amid mounting pressure on President Sirisena to let the suspended parliament hold a vote to end the political crisis. In a statement, the TNA on Saturday said Mr Rajapaksa's appointment was a violation of the Constitution's 19th amendment. The alliance had "decided to vote in favour of the no-confidence motion against Rajapaksa," the statement said. Mr Rajapaksa claims he has enough numbers to prove his majority and at least six of Mr Wickremasinghe's men have defected to his side. The current suspension of parliament by the president is seen as a key to Mr Rajapaksa negotiating for enough defections. Mr Wickremesinghe was sacked by President Sirisena on October 26. His United National Party claims that Mr Wickremesinghe's sacking was "unconstitutional and illegal". The president's move has plunged the country into a constitutional crisis with Mr Wickremesinghe claiming he is still the prime minister.